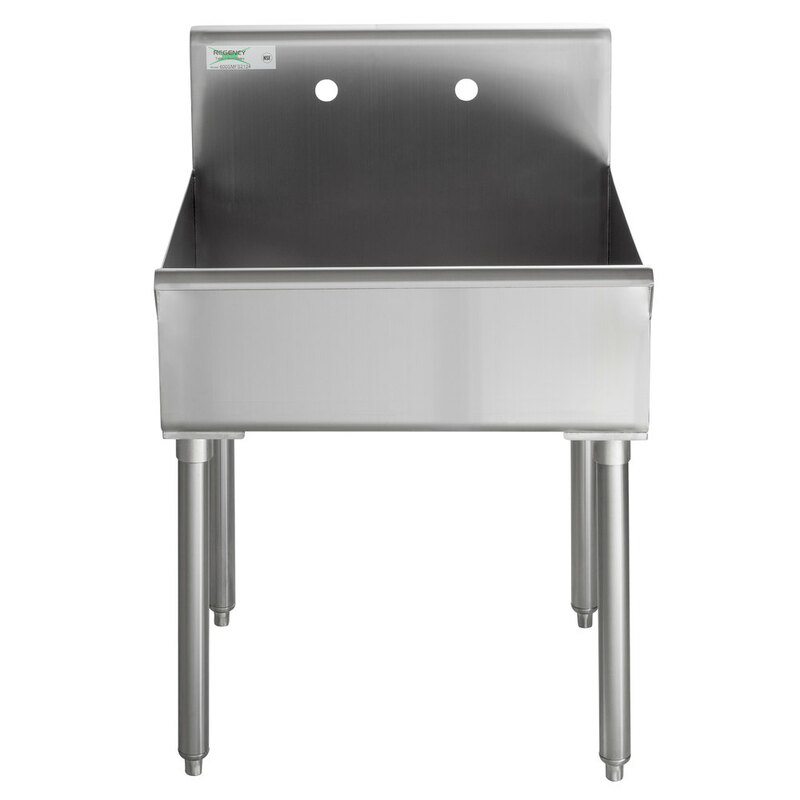 Equip your business with a convenient, economical, and versatile sink with the Regency 24" x 21" one compartment stainless steel commercial sink! 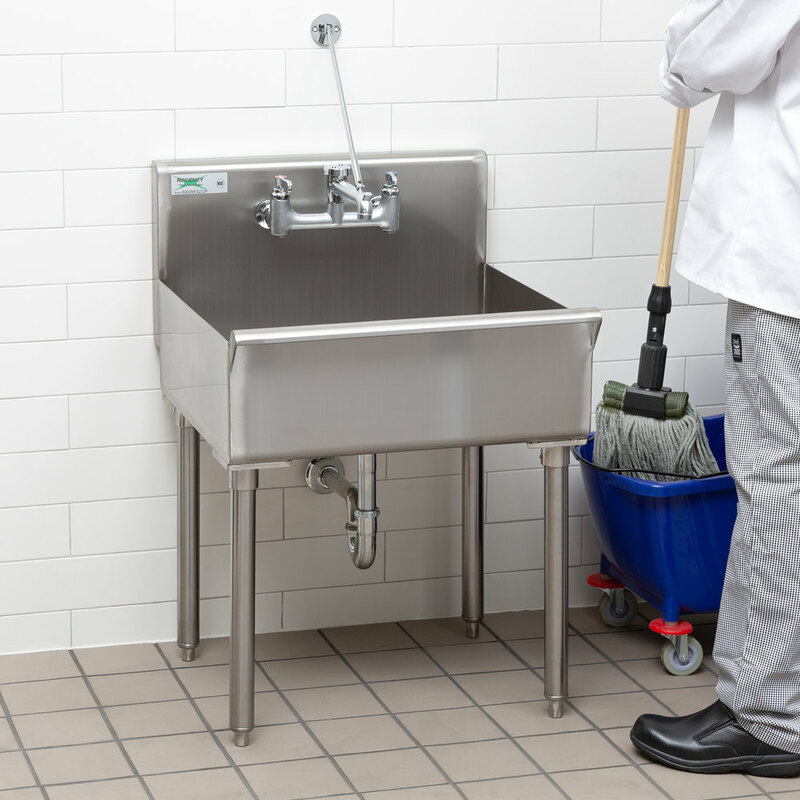 This sink features one 24" x 21" bowl that is 8" deep to accommodate a variety of items for quick washing or rinsing and is also great for filling and emptying mop buckets, as well as washing out mop heads. 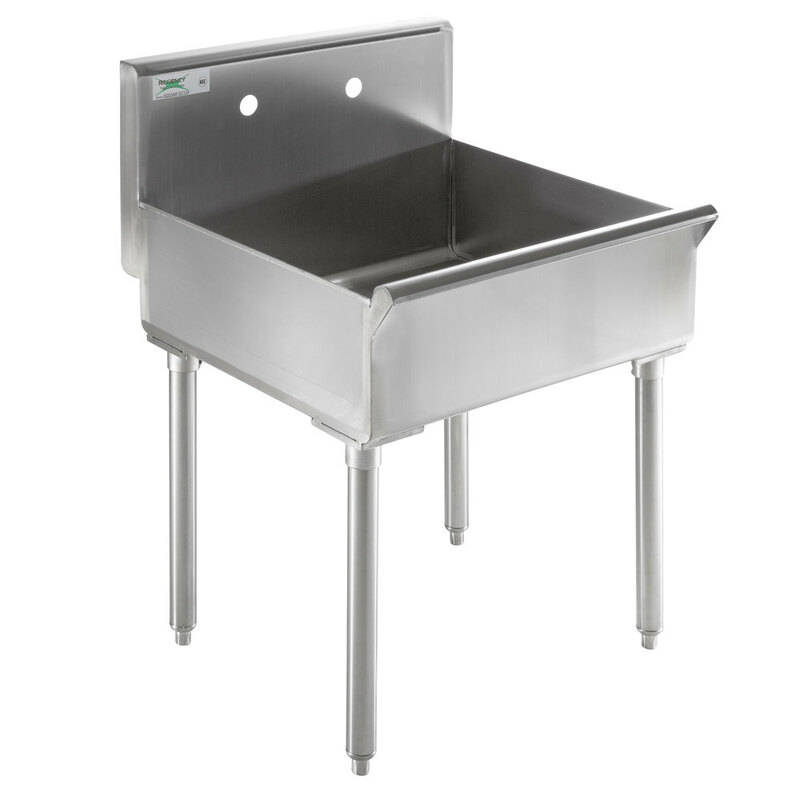 Its 18-gauge type 304 stainless steel construction ensures long-lasting durability, while the galvanized legs provide reliable stability. 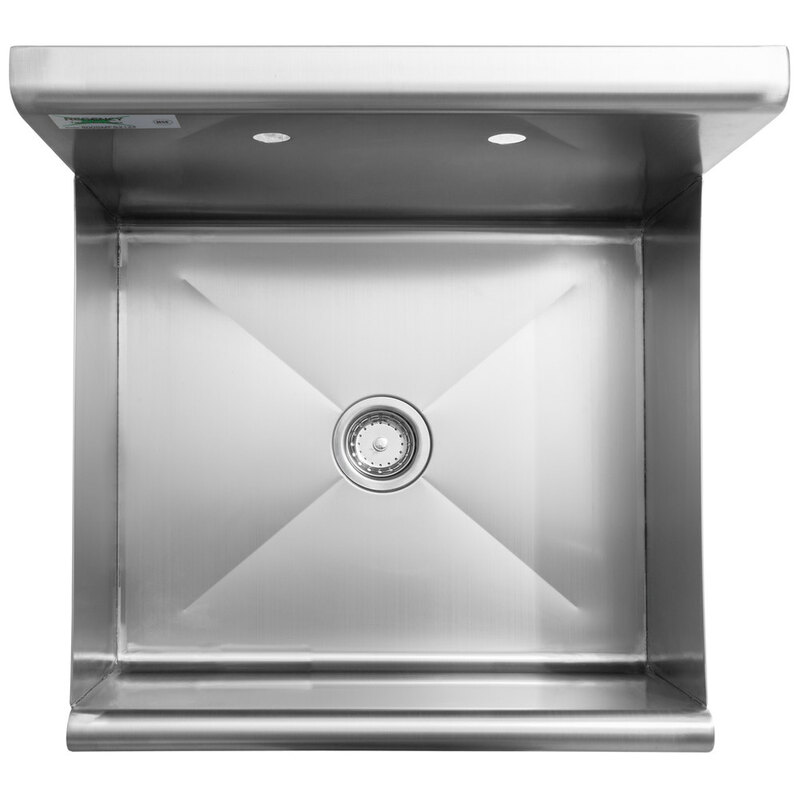 The 8" backsplash will prevent water from splashing onto the wall while in use. A 3 1/2" basket strainer reduces clogs by catching any non-liquid items so that they do not fall into the drain and get caught. 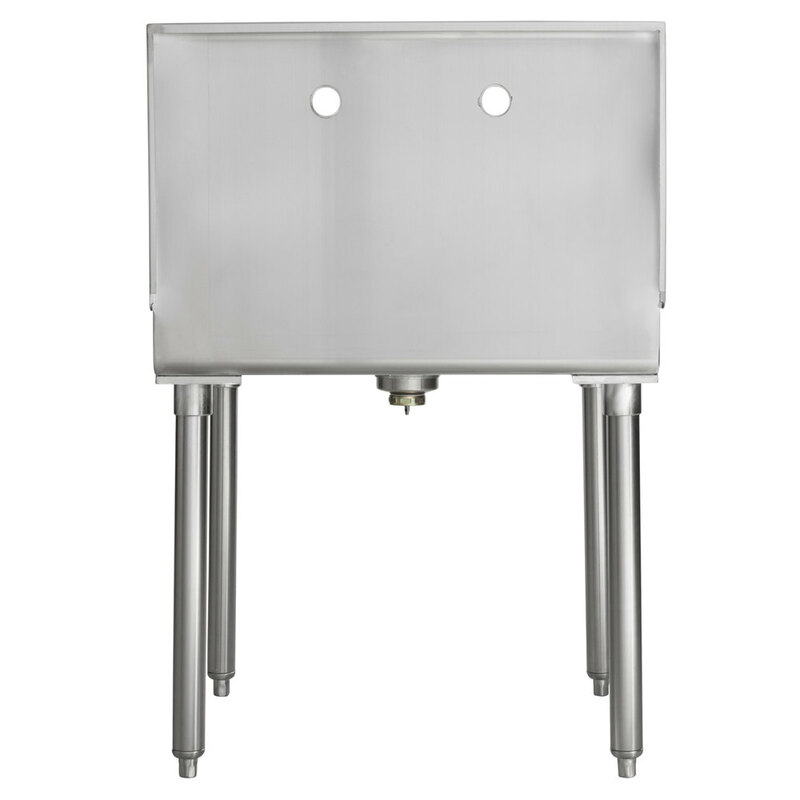 Thanks to the adjustable bullet feet, you'll be able to level your sink on any surface, and ensure that the faucet centers line up correctly with your wall-mount faucet (sold separately). A 1 1/2" IPS drain comes standard with this unit.